This is the insTand preferred by golf and sports professionals for "sports analysis" photography. 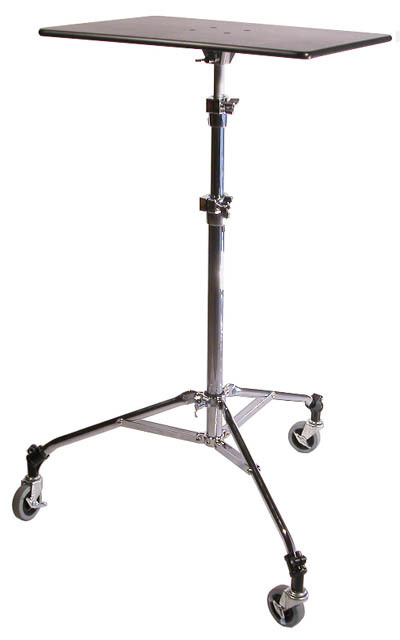 This heavy steel version of the insTand provide a strong stable platform for industrial use. Pretty enough to use on stage or in TRADE SHOWS. Fully adjustable tripod has low center of gravity for added stability. The CR5 supersTand TM is practically indestructible. 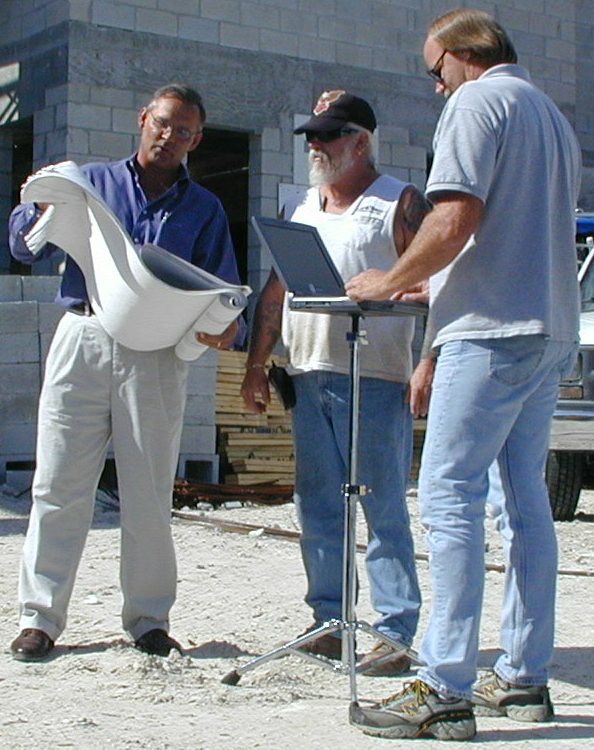 When you are more concerned about strength, durability, and serious stability, and less concerned about light weight and high portability, the CR5 supersTand TM is just the ticket. 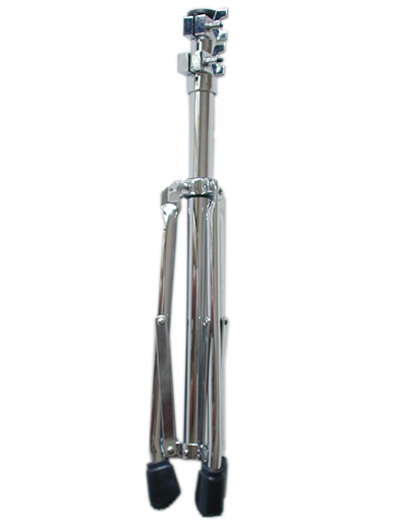 The tripod is highly polished chrome plated steel. Much heavier than the regular insTand TM. The tripod alone weighs in at 8 lbs. Strong and stable - use it outdoors, indoors, industrial settings, or hospitals. Use it at trade shows or in crowded places. Attractive enough to use on stage or in the courtroom. 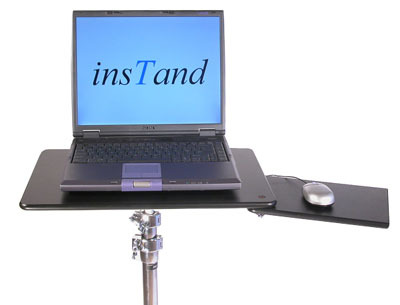 ...(unsolicited) "...received our order of four (CR5 Superstand) Instands today. They are much more than expected. All arrived in excellent condition. They will serve our purposes perfectly. Thank-you for a great product!" Sincerely, John E. Stauss, Facility Plant Engineer IV, The Boeing Company, Aerospace and Missiles Div. ...(unsolicited) Wow! What a great product! I just received my superStand with the swing-out mouse tray. Your service was lightning fast, but the biggest treat was opening the carton and seeing the quality of the product. It will get a lot of use at trade shows and during presentations, and from the looks of it, it'll hold up better than I will!! When others in the company see it, I think we'll be asked to order more! ...(unsolicited) Yesterday I received the CR5, 15 X 20 super tray, and the sideKick combo that I ordered. Awesome!!! Totally awesome!!! This is exactly what I've been needing these past five years. 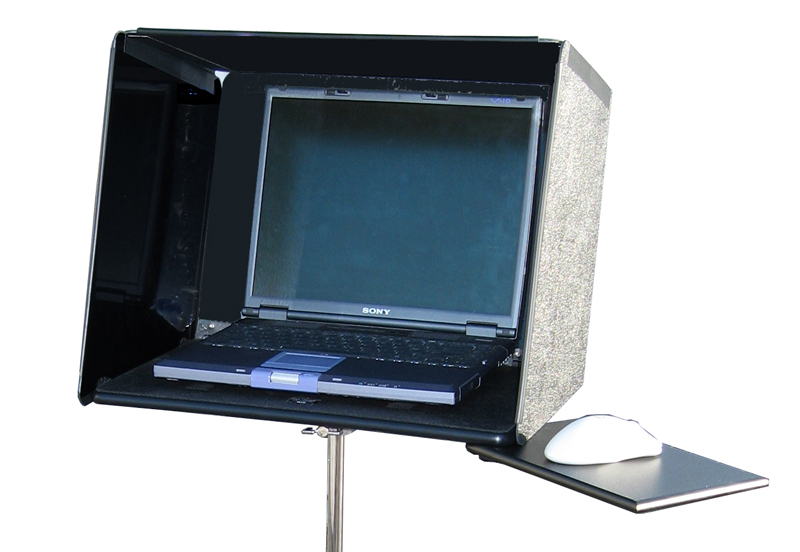 I do Bible based astronomy presentations at churches and your stand fits my projector and laptop beautifully. The whole stand system is solid. 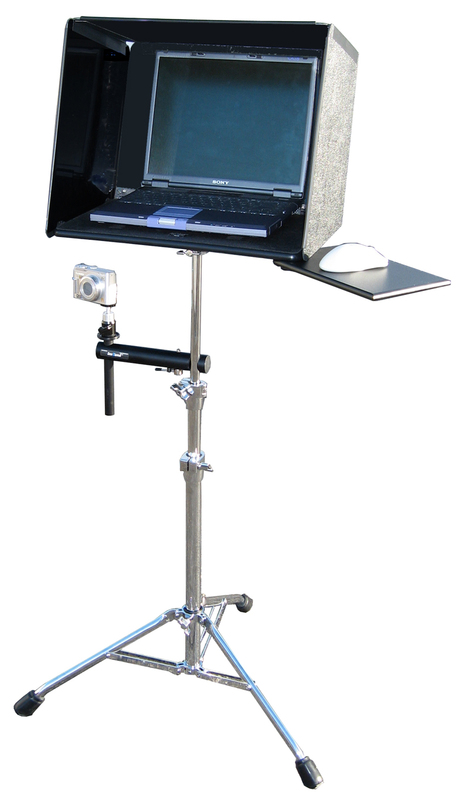 I definitely recommend this portable stand system to anyone who needs a portable quality stand. ...(unsolicited) I just wanted to take the opportunity to thank you for your excellent service and product. I received the Instand and Sidekick tray accessory at Christmastime, and I was pleasantly surprised that the build quality of all the parts were even better and more elegant than I had expected! 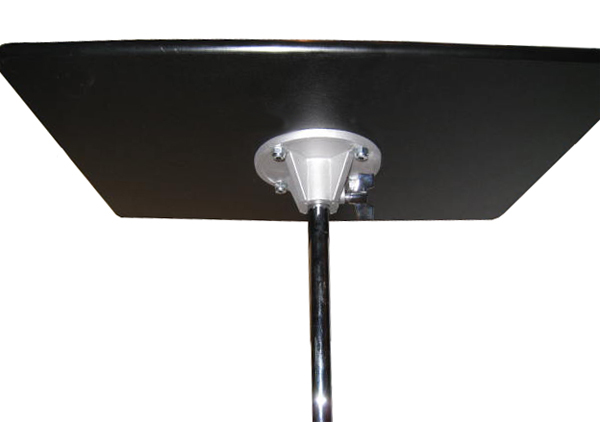 The stand is not only rugged and more than fit for its purpose, but it is also aesthetically pleasing and a pleasure to use! Folds to 3 1/2" x 24"